Our axial fan gives you versatility. Use them to dry carpets, rugs, padding, sub floors, baseboards, cabinets, closets, ceilings, attics, furniture, draperies, drywall, paint. Provides an incredible velocity of 3000 CFM for faster drying. Carpets dry quickly under the high-volume, high-velocity airflow. Can be set in 5 different positions. Unit comes with handle and wheels for easy transport. They are stackable up to 5 high and have a built in cord wrap. Optional caster kit is also available. Use up to 6 units on a single 15 Amp circuit. Built in GFCI outlets allows user to daisy-chain up to 5 units. Warranty is 1 Year Parts and Labor, and Motor and 5 Years on Housing. The Air Mover/Dryer combines innovation, rugged construction, and common-sense design in a compact package. Used for drying carpets, upholstery, or hard floors. This unit is a durable, rotationally-molded dryer with sensible features and unmatched professional performance. The machine is perfect for use after fire, flood, or other water damage as well as for drying wet floors during rainy or snowy seasons. The unit is also appropriate for general air circulation in almost any facility. The motor is mounted at four points instead of a typical three point mounting. This design serves to reduce noise and vibration as well as increase the machine’s life. A three-speed switch permits airflow selection of 1600, 2000, and 2500 cfm. Airflow may be directed at three angles (0, 30, and 90-degrees), and the units are stackable for easy storage. 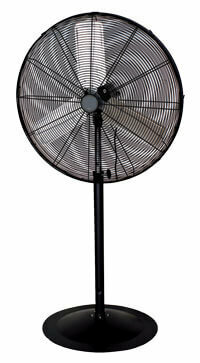 Drum and Pedestal Fans are great for cooling large spaces like warehouses, work areas indoors or outdoors. They can also be used to dry wet surfaces quickly. These models are ideal for portability from small to large work spaces. Solid construction designed for industrial uses with high cfm ratings for effective cooling or drying. 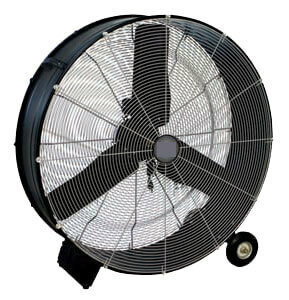 Drum fans are a low cost alternative to cooling when compared to using air conditioning in same large spaces. All models are UL or ETL listed. 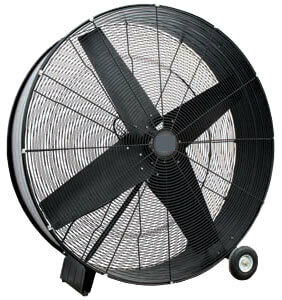 Our axial fan gives you versatility you never had before! The possibilities are endless! Use them to dry carpets, rugs, padding, sub floors, baseboards, cabinets, closets, ceilings, attics, furniture, draperies, drywall, paint…anything you need to dry. creates an incredible velocity of 3000 CFM for faster drying. Carpets dry quickly under the high-volume, high-velocity airflow. For structural drying you won’t find a more effective drying system. Getting it dry faster means more jobs can be done in a shorter time frame, which puts more money in your pocket. Can be set in 5 different positions. Unit comes with handle and wheels for easy transport. They are stackable up to 5 high and have a built in cord wrap. Optional caster kit is also available. Use up to 6 units on a single 15 Amp circuit. Built in GFCI outlets allows user to daisy-chain up to 5 units. Warranty is 1 Year Parts and Labor, and Motor and 5 Years on Housing. 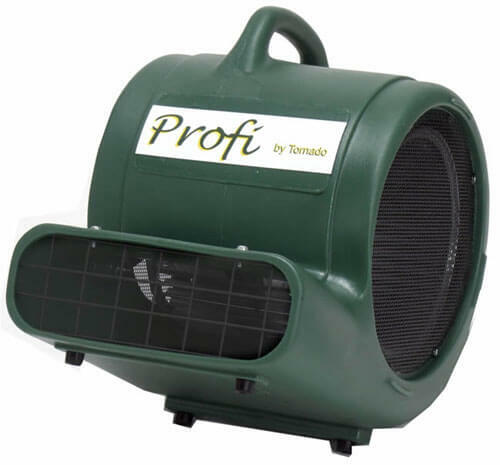 The Profi™ Air Mover/Dryer combines innovation, rugged construction, and common-sense design in a compact package. It is the answer for drying carpets, upholstery, or hard floors. This go-anywhere unit is a durable, rotationally-molded dryer with sensible features and unmatched professional performance. The machine is perfect for use after fire, flood, or other water damage as well as for drying wet floors during rainy or snowy seasons and acts as a Wind Blower. The unit is also appropriate for general air circulation in almost any facility. The motor is mounted at four points instead of a typical three point mounting. This design serves to reduce noise and vibration as well as increase the machine’s life. A three-speed switch permits airflow selection of 1600, 2000, and 2500 cfm. Airflow may be directed at three angles (0, 30, and 90-degrees), and the units are stackable for easy storage. 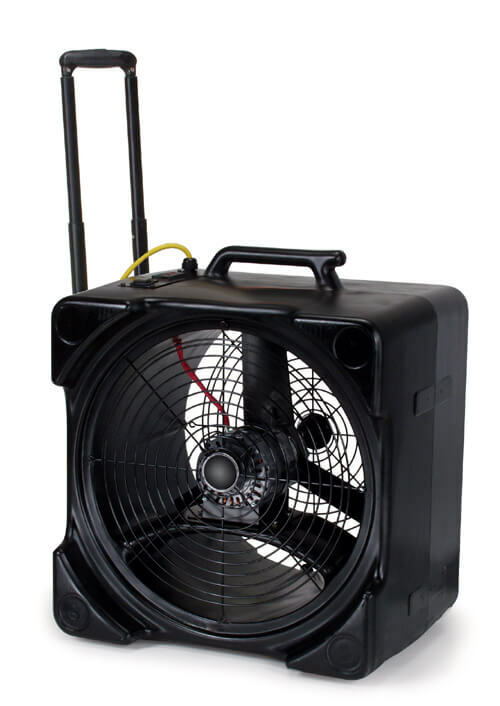 SIZE (H X W X D) 18" X 14" X 20.5"
Ideal for industrial, commercial and drying applications, these heavy duty drum and pedestal fans are a great choice with pressure washers where help is needed to dry wet surfaces. 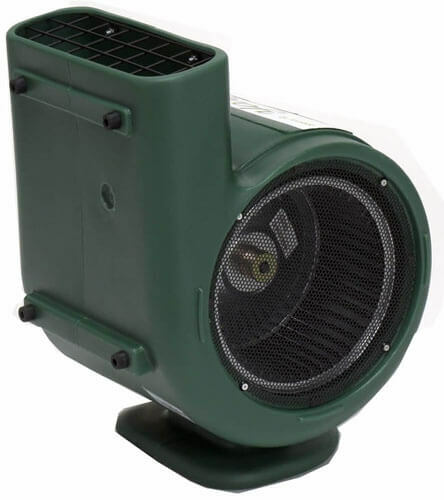 AquaBreeze misting fans are designed for high heat industrial applications. 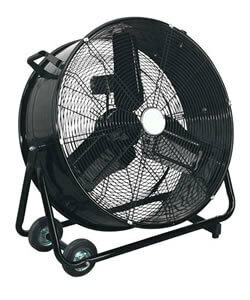 These misting fans can be installed anywhere, use where the floor space is limited. Great solution for hot summers! 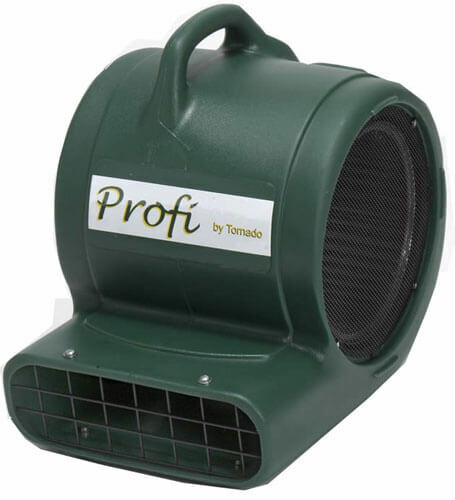 These fans can be used for sport events, farms, parks and more. Air cooled water chiller ensures cool and even temperature for high quality concrete.